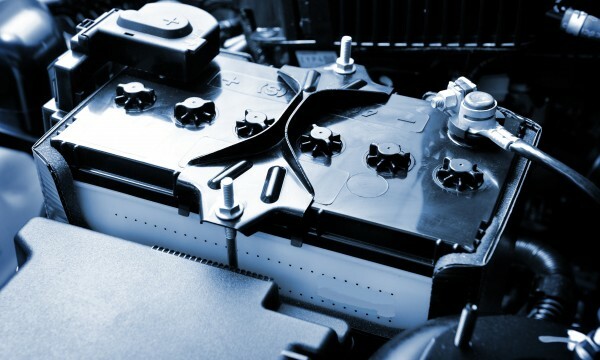 The most common mistake made by automobile owners is the lack of car battery maintenance due diligence before losing its charge and being end up changing it prior its expected life. A few battery maintenance tips that will help maximize battery life have been listed below to give you more time of replacement and to avoid mishaps. We are all aware that battery needs maintenance and while doing routine maintenance on your battery it is highly recommended that one should take precautionary measures so to prevent accidents and harm. >> The battery contains a flammable gas fumes, therefore smoking is highly dangerous while during the maintenance of the battery and must be avoided. >> The caution should be adopted while changing and checking battery specially working with the metallic tools. >> The battery must be in reach of the children, it should be kept away from them. 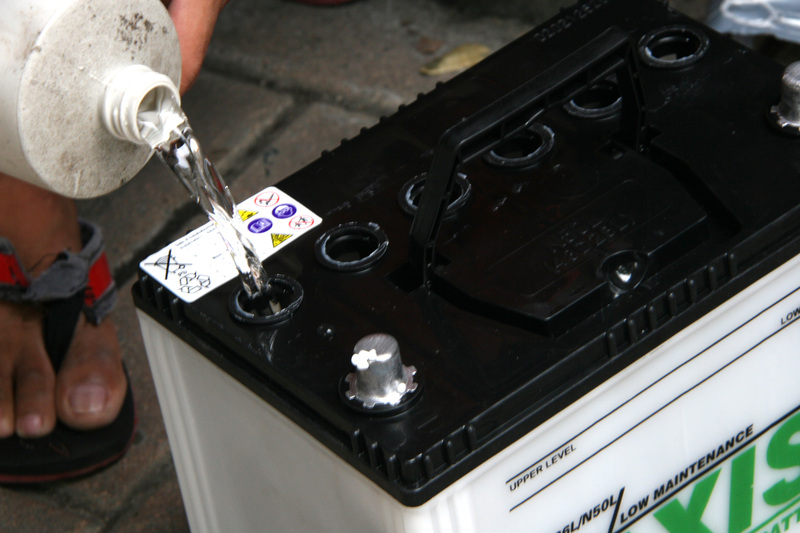 All lead-acid batteries require the correct amount of electrolyte to function properly. Consisting of a mixture of distilled water and sulphuric acid, some is inevitably lost through evaporation and complex chemical reactions. The correct electrolyte “level” means both the volume of electrolyte in the battery, which should be full, and the specific gravity (SG), which should be 1.265 when fully charged and at room temperature. There are many causes for acid and copper-sulphate accumulations on battery terminals, which, if not removed, will eventually reduce the contact area between the terminal and the lead battery post. When this happens, the battery will either not be fully charged (which could damage the alternator), or it will become unable to supply enough current through the reduced contact area. 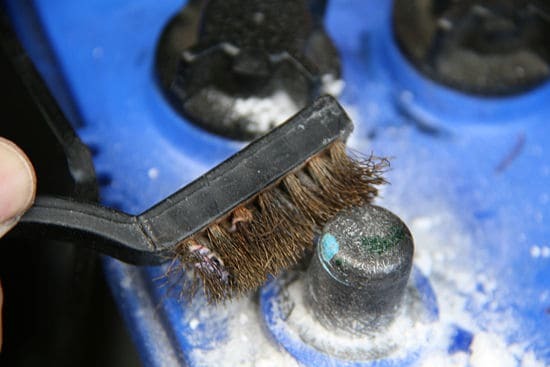 A tablespoon of baking soda in a cup of water is a simple cleaning solution to clean the top of the battery and any corrosion on the terminal’s top with the use of a non-metallic brush. It is highly recommended to disconnect the cables and then thoroughly clean the corrosion from the terminals. If the rust has reached to the level where it cannot be cleaned then changing of the battery is advised. The Middle Eastern region is highly heat affected area therefore the battery water level drops faster in this part of the world. You must check water levels at least once a week or after regular intervals and refill if the level has dropped. Here, we must to mention that new batteries do not need that quick attention and mostly these days maintenance free dry cell batteries are available in the markets. While refilling the cells never over fill the cells and only use clean distilled water for topping off the water levels. Always look for the mark on the side when you take off the covers of the battery cells, that’s the top off point where you should stop and do not go over that level. It is highly recommended to change the battery immediately if there are any cracks that might have developed in the battery. The battery is such a device that needs a regularly charge. Ideally a battery should be charged every 6 months to keep it healthy. Sometimes it happens with the people who own multiple cars that due to non usage of a particular car can be the reasons that its battery loses a charge therefore, to avoid such situation keep the engine start for at least few minutes some time in a day of a week. Another solution is that there is a Battery Maintainer always available in the market which is designed to be left ON for the entire time and it will keep your battery under normal healthy condition and avoid shortening the battery lifespan. All cars require batteries with specific ratings and capacities to supply sufficient power and also to prevent damage to critical systems. It is therefore essential to use a battery that is recommended by the manufacturer. Saving a few dollars by fitting a smaller battery can run you the risk of destroying both the battery and the car’s sensitive electrical system if the battery cannot supply the current demands the electrical system needs to function properly. If you follow the above very basic battery maintenance tips and measures you won’t have to face a battery brake down situation. You should also keep in mind that that a battery’s expected life is 60-84 months and may vary on its different models and it has to be changed after that period.